Can’t find the right associate? Tired of running adds and interviewing prospective doctors with no success? Are you a doctor stuck in a clinic that doesn’t even understand what sports injuries are? Are you a student about to graduate and have nowhere to take your sport chiropractic talents? The 2019 sponsorship T-shirt was a huge success! Big shout out to our 2019 sponsors! CONGRATULATIONS to Dr. Mike Miller and the Patriots! 6th Superbowl victory for Dr. Mike Miller! Dr. Beau Daniels is ready for tomorrow! 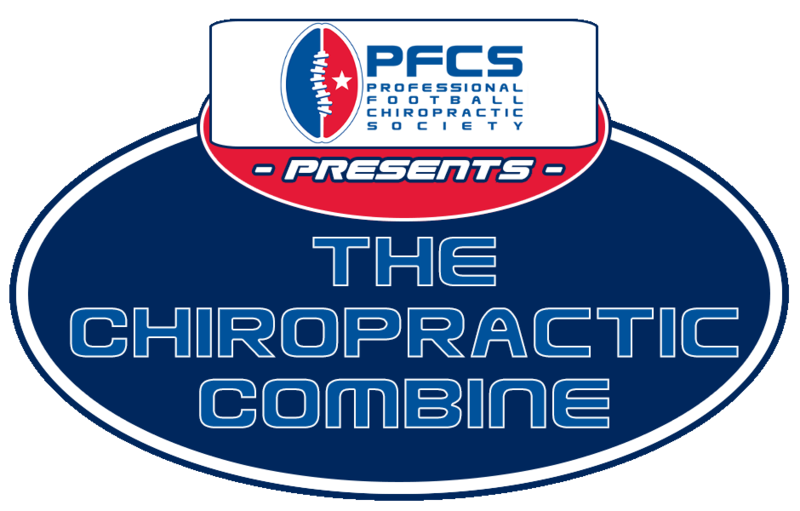 Professional Football Chiropractic Society (PFCS) is an organization of chiropractors who provide the highest quality Chiropractic health care to the elite athletes of Professional Football. Our mission is to communicate and provide education. To initiate and continue a better understanding of Chiropractic for athletes, coaches, administrative and healthcare staff of our respective teams. It is our goal to enhance the health and performance of each and every individual athlete, so they may express their optimal health potential. Doctors of Chiropractic have been utilized by professional athletes for many years. In fact several professional sports teams have enjoyed working relationships with local chiropractors for decades. When free-agency came about in the mid nineties, the movement of players and coaches within the NFL increased. This increased movement created many questions from newcomers as to whom, when and where the team chiropractor could be found. Several team chiropractors set out to discover and contact doctors working with other professional football teams. 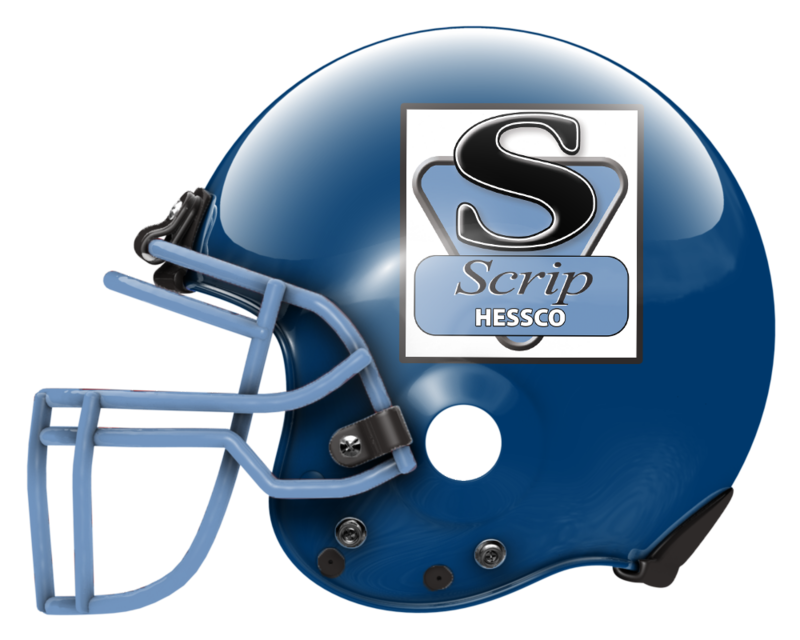 The initial meeting was organized during the summer of 2001 in Cincinnati, Ohio with about a dozen teams represented. There were many questions. How long have you been with your team? How are you compensated? How many days do you spend with the team? Do you work at the team facility? Do players only come to your office? Do you work on game day? Do you travel with your team? The only consistent answer was that there was no consistent answer! Everyone seemed to have a different working relationship with their respective team and most seemed to be very happy with the details of that relationship. We began to discuss how we could better organize for the benefit of players and coaches in transition from team to team as well as promote chiropractic within pro sports. We wanted to create more consistency with respect to utilization and acceptance of the profession within the league. Similar transitions have taken place regarding athletic trainers and strength coaches over the years. Our mission has become one of education and communication to enhance the perception of chiropractic in sports and ultimately with the general public. Our second year we met at the Dolphin’s team facility hosted by Dr. Spencer Baron and the Dolphin’s Head Athletic Trainer, Kevin O’Neill. Several members wanted to have access to continuing education (CE) hours so the following three years we joined up with the ACBSP Spring Symposium in Las Vegas, NV, then Ft. Lauderdale, FL and finally in San Francisco, CA. We eventually settled on meeting during the NFL Scouting Combine in Indianapolis, a location we have kept for the past seven years with 2014 planned there also. We currently host a 12 hour chiropractic continuing education (CE) seminar for chiropractors interested in getting more involved in sports chiropractic. We also have a team chiropractors business meeting the day prior to our seminar to discuss a multitude of issues. By meeting in Indianapolis we are able to get football team personnel to serve as speakers and present for guest appearances throughout the weekend seminar. Our efforts serve not only to help each chiropractor working with his or her respective professional team but also those involved with minor league, collegiate, high school or even youth sports programs. 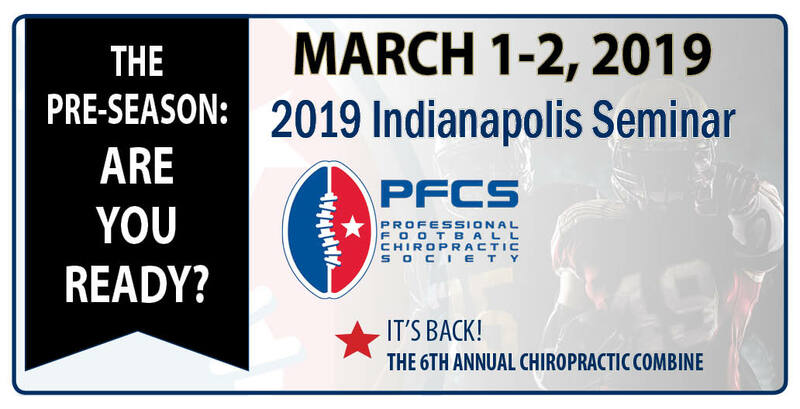 We seek to provide the highest quality of chiropractic continuing education with some of the profession’s most sought after speakers and educators. We invite chiropractors everywhere to join us in our efforts to “Communicate and Educate”. Join The Professional Football Chiropractic Society's Email Newsletter!!! Stay up to date with all of the latest news and events involving the Professional Football Chiropractic Society.